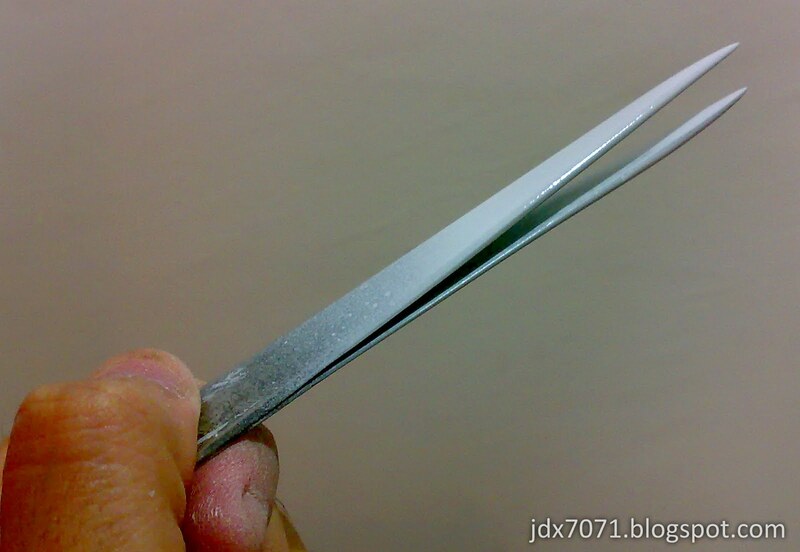 I start off at the tip of the tweezer that I can still hold the tweezer with my hand while I apply the spray. 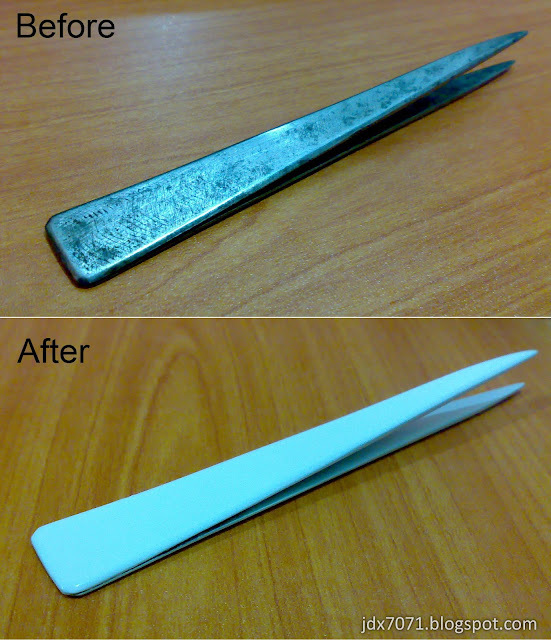 I try my best to apply the spray to the inner part of the tweezer as well. 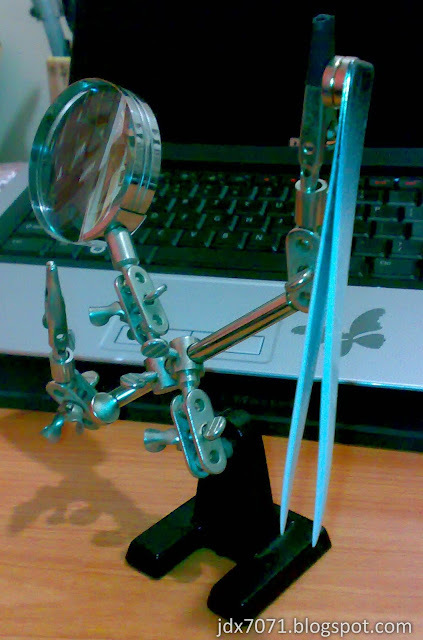 I use the soldering helper + magnet to hold it dry, leaving it for about 30 minutes. Then I continue spraying the whole tweezer with a slide knife holding it. 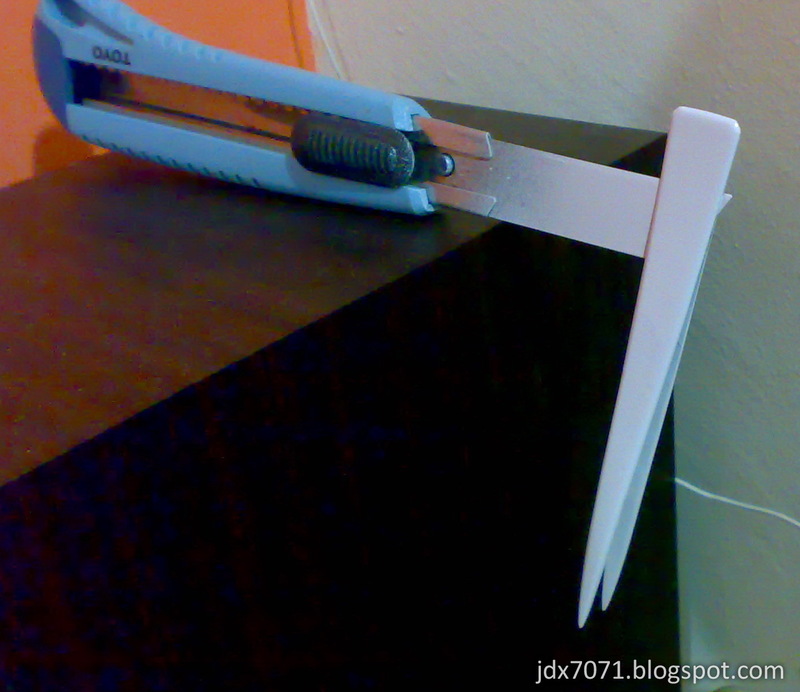 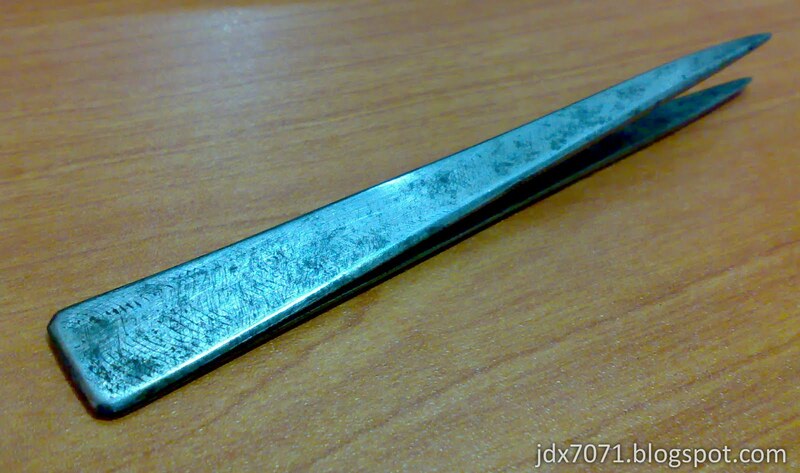 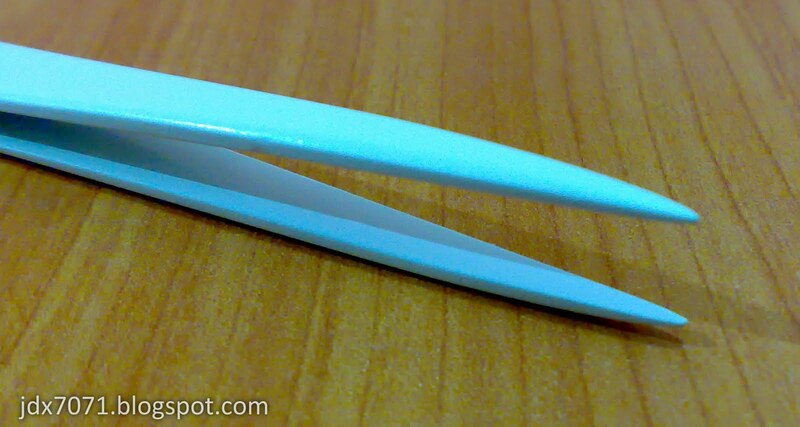 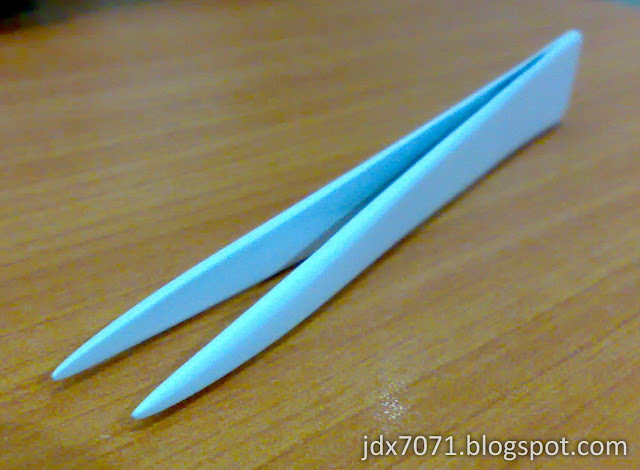 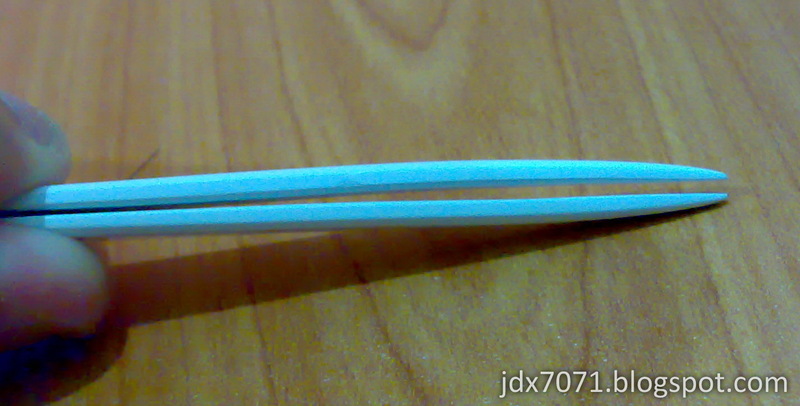 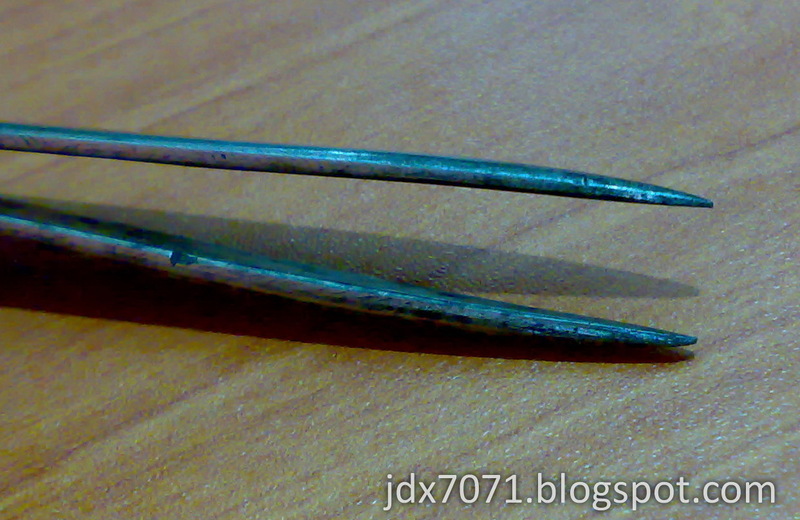 After it is fully dried, it look like plastic tweezer, whole white tweezer..